Question: What’s our take-away lesson from the recent wave of pointlessness? The answer: There’s a little Harold Camping in each of us. We could dismiss the 89-year-old would-be prophet with phrases invoking sheets to the wind or top-floor elevators or loons or crackers or bonkers, but no publicly available evidence suggests he’s clinically crazy. Perhaps he’d pass the MMPI test with flying colors – and he’s got obvious skills: initiative, stick-to-itiveness, a laser-focus and an entrepreneurial spirit. The man is a great marketer and shows “gathering” potential. Sign him up as a church planter. Besides, what’s wrong with punching the calculator with biblical numbers in an attempt to time Christianity’s eschatological events? 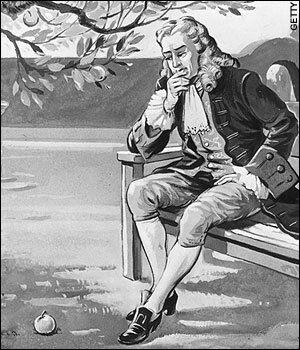 Isaac Newton did it. His statue still sits on the top shelf of our cultural pantheon. Camping’s dilemma is not irrationality but his own grid through which he sees the universe. It’s a kind of rationality on steroids: The Bible is true; the Bible has numbers in it and, because the Bible is true, therefore the numbers are true; since the numbers are true, we’ll add them up and find the date of the so-called “rapture.” And since a physical rapture did not occur on May 21, 2011, it must have been “spiritual,” with the definitive finality scheduled for October. He may very well be asking, in all sincerity: What’s the problem? The problem, of course, is that his near-sighted, two-dimensional rationality misses the forest while stumbling over the trees. Biblical numbers in apocalyptic literature such as The Book of Revelation are intentionally symbolic. The original writers knew it and, more important, so did the original readers. Camping spent hours in the Scriptures with the mind of a 21st-century civil engineer and totally missed the point. He’s the parallel of the naïve, well-meaning animal rights activist who feels sorry for the felines and canines when we say “it’s raining like cats and dogs” — and his “solution” rings eerily familiar to the Jehovah’s Witnesses. Will families in the next century lock their doors when they see a well-dressed “Campingite” couple dropping off leaflets at their neighbor’s home? Stay tuned. But here’s the twist: Harold Camping was not the only one stumbling in the forest this past weekend. It was the great collision of interpretive grids. I lost count of all the columnists hammering the death-knell over “fundamentalism” because all were following the Pied Piper. That was simply wrong. Few fundamentalists, let alone more modernistic “evangelicals,” gave Camping a single thought. The columnists themselves were the real story: Could they even conceive of their own near-sightedness and prejudice? Do they see their own interpretive grid? Their obvious Neanderthal-Fundamentalist image compelled me to think back on those who brought me to Christ. Yes, they believed in a literal seven-day creation story; no, they did not allow women in leadership; yes, they believed in a pre-tribulation rapture. All so true – and I have yet to meet a church that even comes close to their love and grace. I still view its pastor as my model. But would those columnists see the grace? Or are their grids so thick they would interpret every gesture as proof of their own anti-fundamentalist paradigm? Would they see the mother’s frown as a headache symptom or a betrayal of her inner rage? Would the greeter’s smile show genuine warmth or phoniness? Grids, grids, and more grids: Harold Camping haunts our psyches. Obvious grids sifted the perceptions of a radio talk-show guest, an ethicist with a PHD, who said a few weeks ago that the Catholic Church only cared only about abortion – a charge so demonstrably wrong it borders on the unethical. Camping lurks in the minds of so-called Progressive Protestants who brand those who believe in “traditional family values” as inevitably homophobic. The “open-minded” grid deems others “closed-minded” and renders genuine, substantial argument impossible. Our internal Harold Campings were there, on full display. But could we see them? Or were we like Harold Camping himself, who was so fixed on his numbers that he was blind his obvious flaw. It’s your filter, Harold. It’s not what you see, it’s the way you see. There is nothing new in a misguided man misreading the signs of the times – nor is there anything new with a few of his followers divesting themselves of all their money, heartbreaking as that is. The Harold Campings of this world are often sincere individuals who see things through eccentric grids – and they’re stubborn enough to follow the path of their own, two-dimensional reasoning. Every fact was made to fit his own warped conceptions. As it turns out, he was not the only one. Are we willing to admit that we all see what we want to see? Can we silence our own, internal Harold Campings and drop our filters — at least for a moment? And since a physical rapture did not occur on May 21, 2011, it must have been “spiritual,” with the definitive finality scheduled for October — a solution bearing eerie similarities to the Jehovah’s Witnesses. The reason it worked for Jehovah’s Witnesses is that world events seemed to back up their interpretation. 1914 saw the outbreak of the greatest war in history (to that time) the first time ever the entire world went to war simultaneously. Immediately followed by the greatest pestilence ever…the Spanish Infuenza. Thurs, their explanation of Rev 12:7-9 and early verses of Matt 24 seemed credible. But what does Camping have? A spurt of lousy weather?